To build great user interfaces for your Android apps that go beyond the standard UI elements, you need to use custom Android views. With these, you can give your app a distinctive look and ensure that it functions properly across multiple devices. 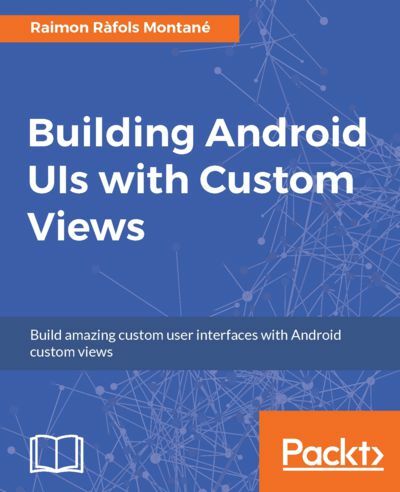 This book will help you construct a great UI for your apps by teaching you how to create custom Android views. You will start by creating your first Android custom view and go through the design considerations. You will then see how the right choices will enable your custom view to perform seamlessly across multiple platforms and Android versions. You will create custom styleable attributes that work with Android XML layouts, learn to process touch events, define custom attributes, and add properties and events to them. By the end of this book, you will be able to create apps with custom views that are responsive and adaptable to make your app distinctive and an instant hit with its users.